Let us not deceive ourselves about certain plain truths. The civil war is perhaps the most remarkable incident in Igbo history in the last century. The pain, the loss, all about it, is deeply imprinted in the Igbo consciousness. 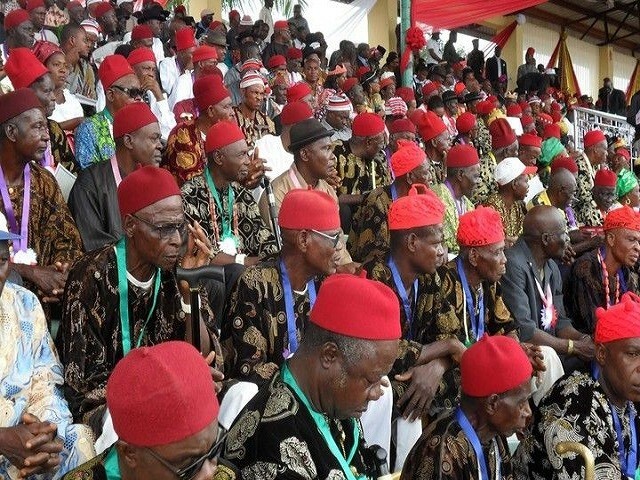 Whereas the Igbo nation has shown great resourcefulness since the war, and its people have proven to be enterprising and determined to hold their own in every sphere of life, including outstanding contributions to the making of the Nigerian state, there are Nigerians who still regard and treat the Igbo suspiciously. The Nigerian Government must take this on-going febrile conversation between the North and the East more seriously than it appears to be doing. The security agencies do not have to go to the markets to look for what is not there. When there is a threat to the state, it is their duty to identify the threat and act on it. All persons who are working hard and making provocative statements to cause a national crisis should be monitored and checkmated. With all the difficult challenges facing this country, at this moment, our security alert system should be pushed a notch higher.